Bachelor of Arts (Economics), University of Madras, 1955. Master of Arts (Economics), Annamalai University, 1957. Ph.D. in Economics (Econometrics), University of Wisconsin, Madison,USA, 1967. Environmental Economics, Trade and Environment, Applied Econometrics, Economics of Regulation. Development and Public Finance, Essays in honour of Dr Raja J. Chelliah,edited by D.K.Srivastava and U.Sankar, Sage Publication, 2012..
Eco-taxes on Polluting Inputs and Outputs, with R.J.Chelliah, P.P.Appasamy and R.Pandey Academic Foundation, New Delhi, 2007. The Economics of India’s Space Programme: An Exploratory Analysis, Oxford University Press, 2007. Environmental Economics, Reader in Economics, Oxford University Press, Delhi, 2000. Oxford India Paperback, 2001, eighth impression 2007. Trade and Environment: A Study of India’s Leather Exports, Oxford University Press, 2006. Economic Reforms and the Liberalization of the Indian Economy, edited by K.P.Kalirajan and U. Sankar, Edward Elgar, Cheltenham, UK, 2003. Accelerating Growth Through Globalisation of Indian Agriculture, K.P.Kalirajan. G.Mythili and U.Sankar (eds), Macmillan, India, New Delhi, 2001. Economic Analysis of Environmental Problems in Tanneries and Textile Bleaching and Dyeing Industries, Allied Publishers, Delhi, 2000. Controlling Pollution: Incentives and Regulations, with S.Mehta and S.Mundle, Sage Publications, Delhi, 1997. Economic Instruments for Environment Sustainability, with O.P.Mathur, NIPFP and MSE,1998. Input-Output Transactions Tables (Agriculture and Manufacturing Sectors), Tamil Nadu, 1982, Department of Econometrics, University of Madras, 1995. Methodology of Applied Economic Research, (eds. U.Sankar and T.Lakshmanasamy), Sterling Publishers, New Delhi, 1993. Public Sector Pricing - Theory and Applications, by Indian Economic Association Trust for Research and Development, New Delhi, 1992. Uncertainty and Farm Production Decisions (with G.Mythili), Himalaya, Mumbai, 1991. Study on the Problems of Increasing Groundnut Production in North and South Arcot Districts of Tamil Nadu (with G. Mythili),Manager of Publications, Government of India, 1987. Environmental Cost Benefit Analysis of NTPC Kawas Thermal Power Project (with K.R Shanmugam and Sukanya Das). Sustainable Consumption and Production funded by UNDP-New Delhi. Insulating Public Utility Pricing from Policy Fluctuations for Sustainable Growth: Power and State Road Transport’, for the 14th Finance Commission, 2013. Social Cost Benefit Analysis of Bithnok Mine Project with K.R.Shanmugam and Zareena Begum, sponsored by Neyveli Lignite Corporation Ltd, 2013. Facilitator Interministerial Working Group on Issues relating to Finance, Taxation, Trade, Planning, Labour, Statistics and Science and Technology for Rio+20 UN Conference on Green Economy in June 2012. Trade and Environment: Environmental Requirements and India’s Exports of Leather and Leather Products, Centre of Excellence in Environmental Economics at Madras School of Economics, funded by Ministry of Environment and Forests, 2002-2005. A Techno-Economic Analysis of Indian Space Programme, Indian Space Research Organisation, 2000 – 2003. Environmental Economics Component of the World Bank - Ministry of Environment and Forests, National Project Coordinator, 1997 - 2003. Industrial Support Policy and Abatement of Pollution by Industrial Agglomerations in Karnataka and Tamil Nadu funded by Netherlands Embassy 1997 - 1998. Accelerating Growth Through Globalisation of Indian Agriculture, a joint project with the Australian National University, 1996-1999. Economic Analysis of Environmental Damages by Tanneries and Textile Dyeing Industries and Suggestions for Policy Action 1996 - , funded by UNDP - Project LARGE. Fiscal Reforms for Sustainable Development jointly with NIPFP, funded by World Resources Institute, 1995 - 1997. Modelling Sales Tax Revenue Behaviour in Tamil Nadu, sponsored by Finance Department, Government of Tamil Nadu, 1993 - 1994. Incentives and Regulation for Pollution Abatement with an Application to Waste Water Treatment (with S.Mehta and S.Mundle), National Institute of Public Finance and Policy, New Delhi, 1993, sponsored by WHO. Telecom tariff (BICP) Project, Interim Report April 1991. Econometric Formulation of Farm Household Decision Making under Uncertainty, sponsored by ICSSR, December 1986 - August 1988. Input-Output Model Project for Tamil Nadu, Sponsored by Planning and Development Department, Government of Tamil Nadu, February 1987. Optimum Rate Structures for Public Enterprises under UGC Support for Major Research Project in Social Sciences 1982 - 1985. Farm Management Study on the Problems of Increasing Groundnut Production in North and South Districts of Tamil Nadu, 1981 - 84, Ministry of Agriculture, Government of India. Several Projects sponsored by AT and T, UW Alumni Foundation; UWM Graduate School, Ford Foundation and NSF completed while in USA. Multiple Goals, Synergies and Trade-Offs in Framing Sustainable Development Policy for Indian Agriculture in A.Narayanamoorthi, R. Sujatha and R.V. Bhavani (Eds),Agriculture and Rural India after Economic Reforms, Tulika Books and Columbia University Press,2019. Environmental Fiscal Transfers to States and Local Bodies in India in the context of Finance Commissions’ Terms of References, presented at Ernst Young- MSE Seminar on Fiscal Federalism in India Contemporary Perspectives, 22-23 February 2019. Public Economics and Sustainable Development Policy, lecture at National Institute of Public Finance and Policy, New Delhi,12 March 2015. MSE Working Paper 107. Sustainable Consumption and Production , Consultation on the Post-2015 Development Agenda, Organized by TERI, 3 February 2015. Energy, Environment and Sustainable Development, Invited Paper, Yojana, May 2014. Challenges and Opportunities in Adopting Sustainable Development Goals in India, Special Lecture, Central University of Tamil Nadu, 30 October 2014. Power Sector Reforms in India, Prof K.N.Raj Memorial Lecture , Dept of Economics, Central University of Kerala, 27 March 2014..
Economics and Access and Benefit Sharing :An Overview, Keynote speech, UNEP-GEF-MoEF National Consultation ,9& 10 December 2013, nbaindia.org/unep-gef/docu/13/34/3pdf. Globalization in Indian Economy in S.Janakarajan, L.Venkatachalam and R.Maria Saleth (eds) , Issues and Concerns in Indian Economy, Sage Publications New Delhi, 2015. Science and Economics for Sustainable Development of India, Keynote address at Madras School of Economics- Lancaster University Management School Conference: The Science and Economics of the Environment Issues: The Twain shall Meet, 19-20, November 2012, MSE, Chennai, MSE Working Paper 76/2012. Economics of market-based environment regulations for industry, seminar organized by Confederation of Indian Industry,Chennai, January 31,2013. Measuring Progress towards Sustainable Development, Professor K.S.Sonachalam Endowment Lecture, Inaugural Address, UGC-SAP National Seminar, 15-16, March 2012, Annamalai University. Sustainable Development of Agriculture, Keynote Address, UGC sponsored National Seminar on Inclusive Growth in Agriculture, Department of Economics, Osmania University. Published in Indian Economic Review, IIPM Journal, June 2011. India’s Low Carbon Inclusive Growth Strategy, Presented at SANDEE Conference on Environment and Development, Kathmandu, Nepal 6-7 December 2010. MSE working Paper 56/2010. Policy Instruments for Achieving Low Carbon and High Economic Growth in India, presented at the Round Table on Policies for Sustainable Development, National Institute of Public Finance and Policy, New Delhi, 16 December 2009. The global Trading Regime and Sustainable Development of India and China, in N.S.Siddharthan and K.Narayanan (eds) Indian and Chinese Enterprises, Routledge London, 2009. Data Requirements and Statistical Challenges for Designing Climate Friendly Energy Policies in Multilateral Framework, Keynote Address delivered at the National Seminar on Climate Change: Data Requirement and Availability, organized by Central Statistical Organization, Ministry of Statistics and Programme Implementation, Government of India and Institute for Social and Economic Change, Bangalore, April 16-17, 2009. MSE Working Paper No 45, 2009. Incentives for Conservation and Sustainable Use of Biodiversity in India, Dr Bisalaiah Endowment Lecture, University of Mysore, 19, March 2009. The State of Environment and Environment Quality in India, Dr Ambirajan Endowment Lecture, 18 March 2009. Multidisciplinary Research: Challenges and Opportunities, VKRV Centenary Celebrations, Institute of Social and Economic Change, Bangalore, July 2008, in Social Science Research in India, Institutions and Structure, edited by M.V.Nadkarni and R.S.Deshpande, ISEC and Academic Foundation, 2011. Compendium on Convention on Biological Diversity (with P.S.Mehta), http://www.mse.ac.in/Trade/Publication.asp. Global Public Goods, MSE Working Paper No.28, 2008. The Rupee goes Farther in Space in L.K. Sharma (ed), Innovative India Rises, Medialand, London. The Role of Economics Instruments in Prevention and Control of Industrial Pollution in India: Scope, Design and Implementation, in M.S.Bhatt, Shahid Ashraf and Asheref Illiyan (Eds), Problems and Prospects of Environment Policy India Perspective, Aakar Books, New Delhi 2008. Organizational systems, commercialization and cost-benefit analysis of Indian Space Programme with K.R.Sridhara Murthi and H.N. Madhusudhan, Special Section: Indian Space Programme, Current Science, Vol. 93, No.12, 25 December 2007. Trade Liberalization and Environmental Protection – Responses of Leather Industry in Brazil, China and India, Economic and Political Weekly, VolXLI, No.24, June 17, 2006. Diversity in Environmental Standards and Competitiveness: A Temporal and Cross-Country Analysis of Global Leather Industry Supply Chain (with Mamatha Rao, N. Karthikeyan and B. Preethi) presented at the Third World Congress of Environmental and Resource Economists at Kyoto, Japan, July 3-7, 2006. Financial and Economic Sustainability: Public-Private Partnership in Christine Sijbesma and Meine Pieter van Dijk (eds. ), Water and Sanitation: Institutional Changes in India, IDPAD-Manohar, New Delhi, 2006. Policy Options for Prevention and Control of Industrial Pollution in India in Suresh Tendulkar, Arup Mitra, K. Narayanan, and Deb Kusum Das (eds. ), Industrialization in a Reforming Economy, Academic Foundation, New Delhi 2005. Pricing Coal Ash for Environmental Protection with Raja Chelliah and Rita Pandey, The Journal of Energy and Development, Vol.30, No.2 (2005). Externalities in Amaresh Bagchi (ed.) Readings in Public Finance, Oxford University Press, New Delhi, 2005. Economic Liberalization, Environmental Policy in India and Globalization, in C. Tisdell and R.K. Sen. (eds.) Economic Globalization, Edward Elgar, 2004. Pollution Control in Tanneries, in G. Kadekodi (ed.) Environmental Economics in Practice in India, Oxford University Press, 2004. Data Base and Methods for the Design of Economic Instruments for Industrial Pollution Control in India, in A.K.Ghosh, J.K. Ghosh and Barun Mukhopadhyay (eds. ), Sustainable Development, Ecological, Economic, Sociocultural and Statistical Aspects, Indian Statistical Institute, Calcutta, 2004. Design of Fiscal Instruments for Pollution Control in M.Govinda Rao (ed. ), Development, Poverty, and Fiscal Policy - Decentralisation of Institutions, Oxford University Press, Delhi, 2002. Asymmetric Information and Counteracting Institutions, Proceedings of the Indian Economic Association Conference, 2002. Landmarks in the Development of Economics in the Twentieth Century, Millennium Lecture, Gulburga University, 2000, in M.V. Nadkarni (ed.) Landmarks in Development of Social Sciences, Allied Publishers, 2002. Tariff Setting in the Telecom Sector in Regulation in Infrastructure Services - Progress and the Way Forward, Tata Energy Research Institute, 2001. Agriculture in India's economic reform program with K.P. Kalirajan, Journal of Asian Economics, 12(2001). Agricultural Price Policy in Indian Economy Agenda for the 21st Century, Essays in honour of P.R. Brahmananda edited by Raj Kumar Sen and Biswajit Chatterjee, Deep & Deep, Delhi, 2001. Power Sector: Present Status and Some Policy Issues in IEA Trust Seminar Volume, Development Experiences in the Indian Economy: Interstate Perspectives, edited by P.R. Brahmananda and V.R.Panchamukhi, Bookwell, New Delhi, 2001. Common Effluent Treatment Plants: An Institutional Arrangement for Pollution Control in Small Scale Tanneries in India presented at the Second International Conference on Environment and Development, Stockholm, September 2000. Laws and Institutions Relating to Environmental Protection in India, presented at the conference on The Role of Law and Legal Institution in Asian Economic Development, Erasmus University, Rotterdam, Netherlands, November 1-4, 1998. MSE Occasional Paper No.2, 1999. India Case Study (Team Leader) in Theresa Bradley (ed.) Public Finance Restructuring for Sustainable Development in Emerging Market Economies, World Resources Institute, Washington D C, 1998. Standards and Incentive Regime for Prevention and Control of Pollution in India, Keynote Address delivered at the Workshop on Economics of the Environment at Jadavpur University, Calcutta, 24th February 1997. In G. Gupta and J. Roy (eds. ), Environmental Economics in India, Allied Publishers, 1999. Environmental Costs of Industrial Water Pollution, TERI Energy Environment Monitor, Vol.12, No.1, March 1996. On the Allocation of Joint and Common Costs,Festschrift for Kirit Parikh, Poverty, Environment and Development, (eds) N.S.S. Narayana and A.Sen, Interline Publishers, Bangalore, 1996. Pricing Policies in Indian Industry (ed.,Dilip Mookherjee), Oxford University Press, 1995, Paperback 1996. Pricing Reforms in Public Enterprises, The Journal of Institute of Public Enterprise, Vol.17 (3 & 4), 1994, pp.97-109. 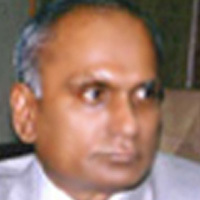 On the Regulation of Public Utilities Facing Competitive Fringe, Presidential Address delivered at the 30th Annual Conference of the Indian Econometric Society at University of Mysore, Mysore, May 1, 1994. Published as monograph by the Indian Economic Association Trust for Research and Development, New Delhi. Journal of Quantitative Economics, Vol.10, No.2, July 1994, pp.253-272. Economic Reforms in Power and Telecommunication Sectors, in A.V.Bhuleshkar (ed. ), Indian Economy Under Liberalised system - Issues and Problems, Himalaya, 1994. Telecom Policy: The First Steps, The Economic Times, May 30, 1994. Market Failures and Government Failures: Lessons for India's Development, Gandhian Perspectives, Spring 1993. Formulation and Verification of Hypotheses in Economics, in Methodology of Applied Economic Research (eds.U.Sankar and T.Lakshmanasamy), Sterling Publishers, 1993. Fiscal Deficit and Macro-economic Implications, in V.R.Panchamukhi (ed) Fiscal Management of the Indian Economy, IEA Trust for Research and Development, New Delhi, 1992. Economic and Social Goals in Electricity Supply in Tamil Nadu (with R.Hema) in S.Subramaniam (ed.) Development Themes, Oxford University Press, 1992. Demand Side Management: Scope and issues in Electricity, Productivity, Jan - March, 1992. Nehru's Development Strategy in Legacy of Nehru, Jawaharlal Nehru Centenary Publication, University of Madras, December 1991. Industrial Policy for 1990's, Symposium on Eighth Five Year Plan, Productivity, April- June 1990. Pricing Policy for Multiproduct Public Monopolies, Productivity, April - June 1989. Nehru's contributions to Social Democracy and Planning in A.V.Bhuleshkar (ed.) Fifth Jawaharlal Nehru Memorial Volume,Indian Economy in World Setting, Himalaya, 1988. Industrial Policy of India: J.S.Uppal (ed. )Economic Problems of India, Tata-Mc Graw Hill, 1975, Second Edition, 1978, Third Edition 1984, Fourth Edition 1994. The Measurement of Firm Size (with Sol.Shalit), Review of Economics and Statistics, Vol.59, August 1977. Depreciation, Tax Policy and Firm Behaviour Under Regulatory Constraint, Southern Economic Journal, Vol.44, July 1977. A Utility Function for Wealth for A Risk Averter, Journal of Economic Theory, December 1973. Investment Behaviour in the U.S.Telephone Industry 1949-1968, Bell Journal of Economics and Management Science, Vol.4 Autumn, 1973. Investment and Economies of Scale in Electricity Generation, Proceedings of the American Statistical Association, Business and Economics Statistics Section, 1972. Investment Behaviour in the U.S.Electric Utility Industry 1949-68, Bell Journal of Economics and Management Science, vol.3, Autumn, 1972. On Errors in the Variables (with Arnold Zellner), Report 6703, Centre, for Mathematical Studies in Business and Economics, University of Chicago. Results incorporated in Chapter 5 in A.Zellner, An Introduction to Bayesian Inference in Econometrics, Wiley, 1971. Also cited in H.Theil, Principles of Econometrics, Wiley, 1971.Also in G. Mythili and Hema (2005).Topics in Applied Economics, Tools, Issues and Institutions, Festschrift for Prof. U. Sankar, Academic Foundation, New Delhi 2005. Elasticities of Substitution and Returns to Scale in Indian Manufacturing Industries, International Economic Review, Vol.II, October 1970. Bayesian Estimation of CES Production Function (with V.K.Chetty), Review of Economic Studies, vol.36, July 1969. Levels of Living in Rural Areas, Indian Journal of Agricultural Economics, vol.18, January,1963. Primary Land Mortgage Banks: A Study of the Working of Primary Land Mortgage Banks in South Arcot District in Madras, All India Cooperative Review, 1962.